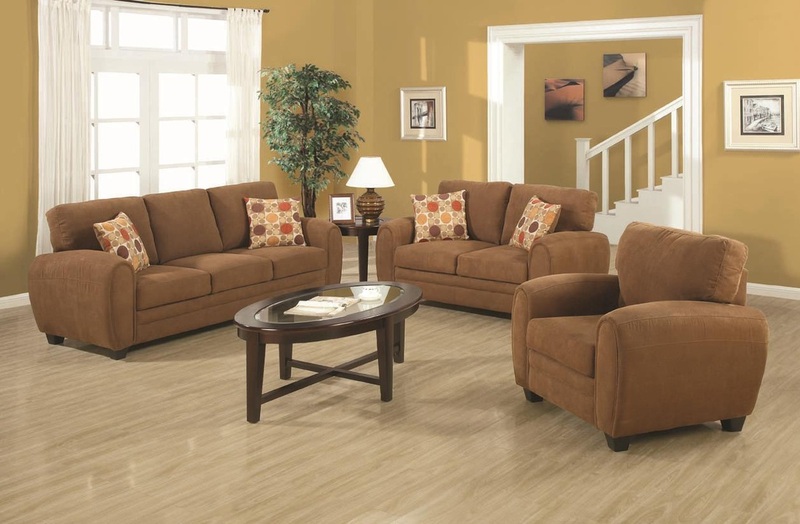 The Sibley living room collection is the perfect blend between contemporary design and comfortable living. This sofa, love seat, and chair set offers a subtle contemporary style that's versatile enough to mix and match with most styles of decor. The slightly curved track arms and a pillow-back design combine for superior comfort. A solid foundation is given from the tapered wood block legs. The plush padded twill fabric in dark tan blend for a casual style infused with sophisticated elegance. Webbed back and spring seat construction to increase strength and durability.